This map shows that 2017 has been hot but not unusual . 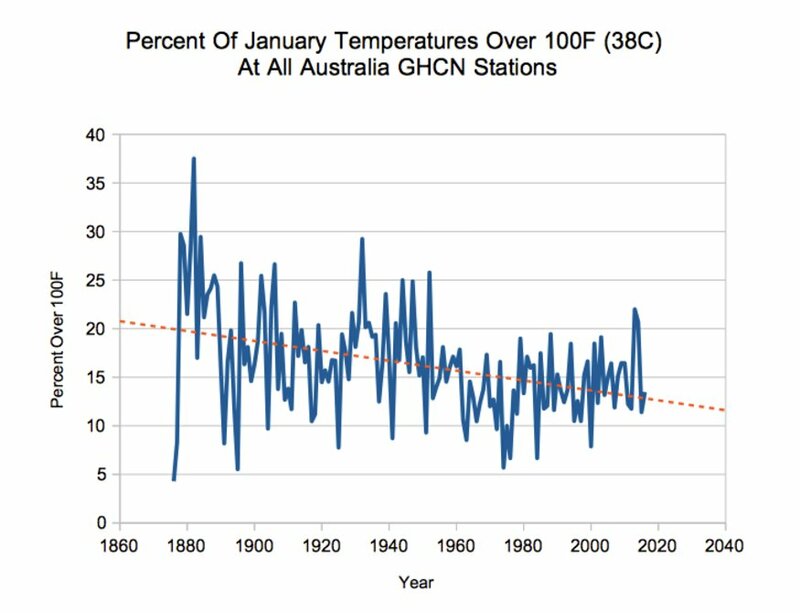 It should be noted that this graph does not include data from the 1896 heat wave when temperatures topped 50 degrees. 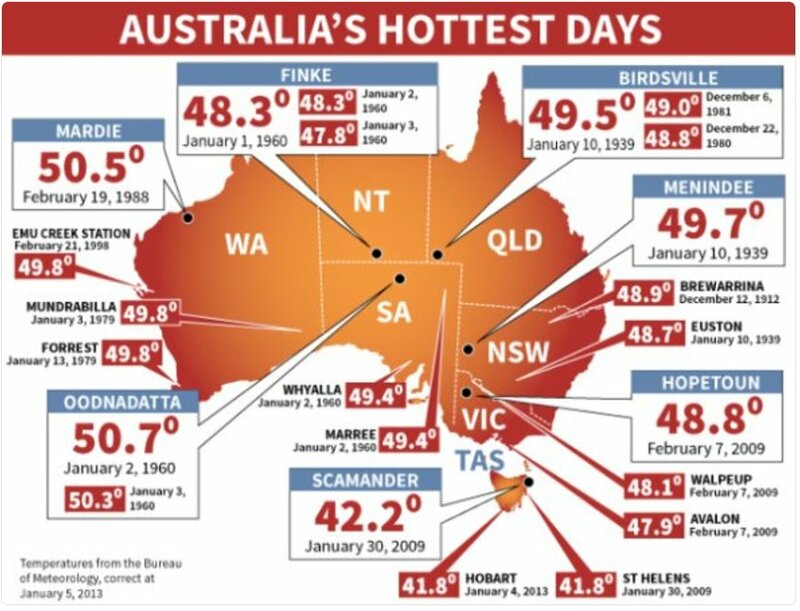 This is because it was removed from the BOM record because the data was "unreliable" not because as some cynics would think that it made a nonsense of global warming's "unprecedented warming". It should be noted that over 200 people died in the 1896 heat wave attesting to it's severity. From Real Climate. 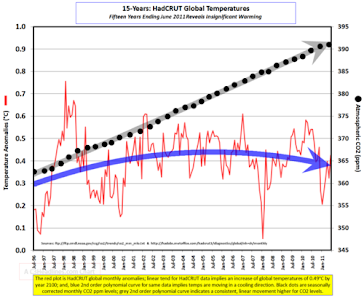 Steve Goddard has appended historical data to the satellite record which is the bit alarmists use to hysterically claim global warming is melting the Arctic. 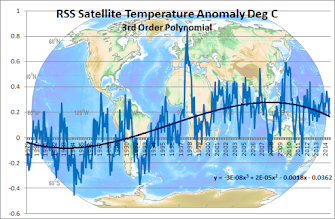 Unbelievable that so-called scientists can ignore real data. 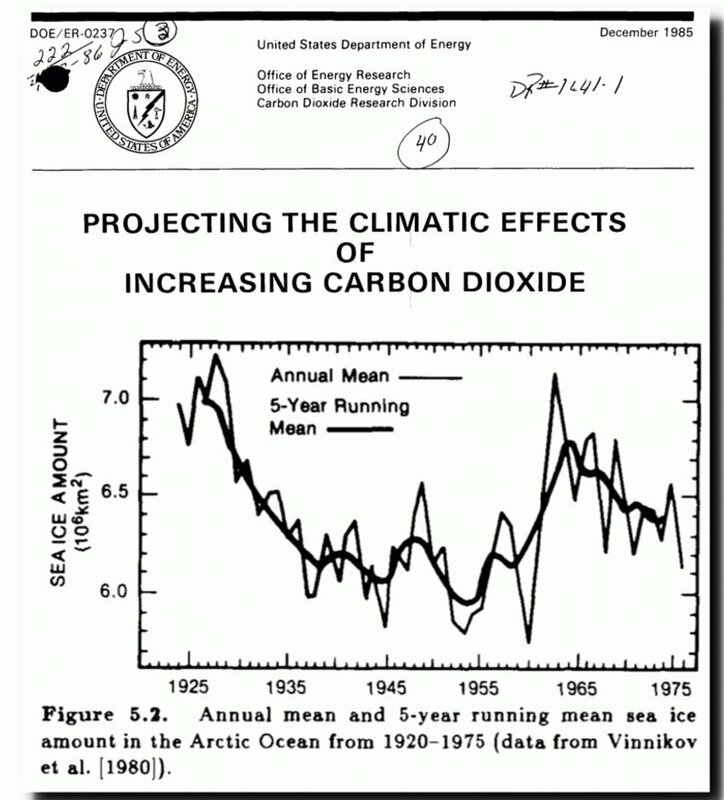 Official US Government research graphs that show that Arctic ice was about the same in 1945 and 1960 as the present level ,giving the lie to climate scammers claims about unprecedented melting. 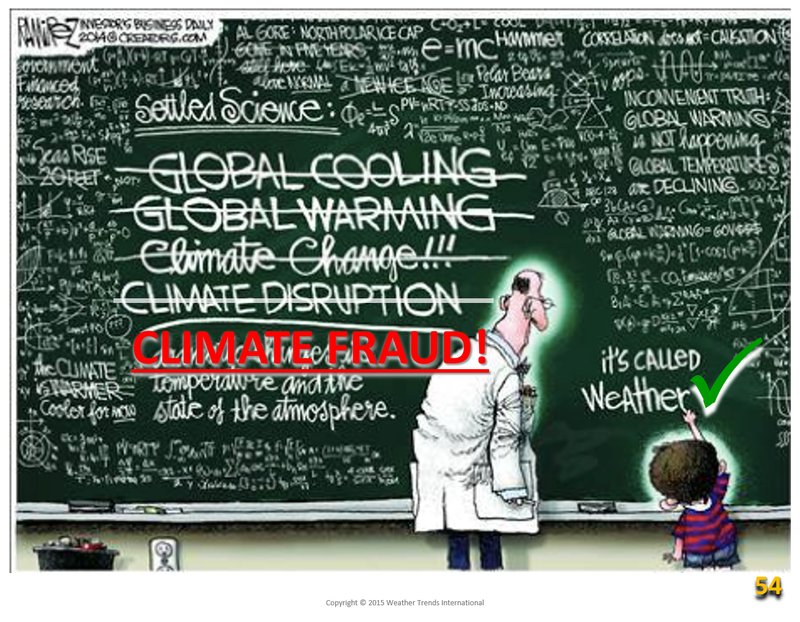 The Orwellian manipulation of climate data is about to end when the climate swamp is drained in the US. 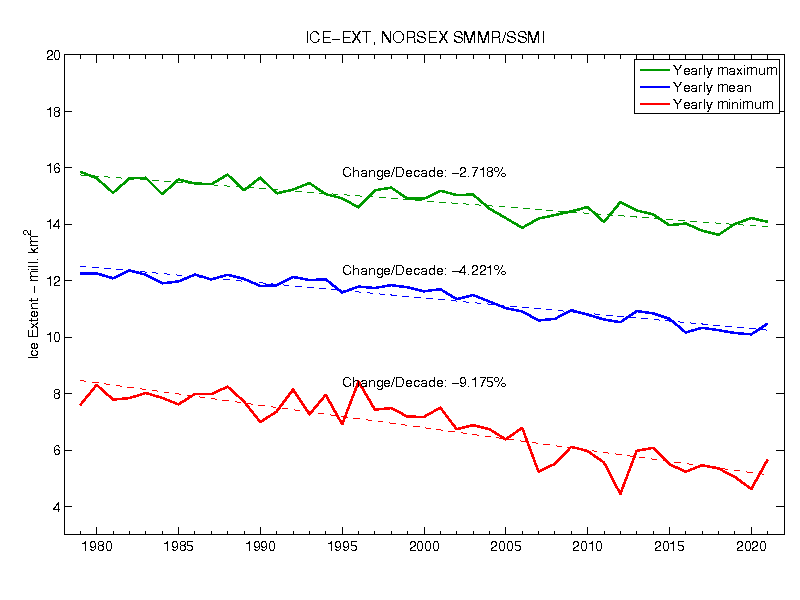 Current climate graphs ignore earlier data to give the impression of continual ice loss. Note the graph below starts around 1980. A judge who hasn't drunk the Green Koolaid shocks Greenies! Environmentalists, expecting a free pass after tampering with a pipeline were shocked when when a judge said that catastrophic global warming was "controversial". With Trump in charge expect more of the same bringing the climate bed-wetters out in force! A jury was selected in Washington state on Monday in the first trial over a coordinated protest that disrupted the flow of millions of barrels of crude oil into the United States, a proceeding activists hope will serve as a referendum on climate change. Activist Ken Ward says he will not dispute that he shut down a valve on the Kinder Morgan Inc’s Trans Mountain Pipeline near Burlington, Washington, but he will testify that such actions are necessary in the face of the government’s failure to address global warming. Judge Michael Rickert has barred Ward’s lawyers from formally mounting a “necessity” defence or arguing that his actions were justified in light of a looming environmental crisis.